Our client list is comprised almost entirely of small business owners and solopreneurs. As small business owners ourselves, we 1,000% understand what it’s like to manage all aspects of building and running a profitable business with an extremely small staff because that’s what we personally do day-to-day as well. A good chunk of our work is helping small businesses establish and grow their online presence through social media management. Because our daily work is dedicated to handling others’ social media needs, we have developed our own set of best practices to make sure our (Eli | Rose) social media and blogging tasks are handled efficiently and in a timely manner. 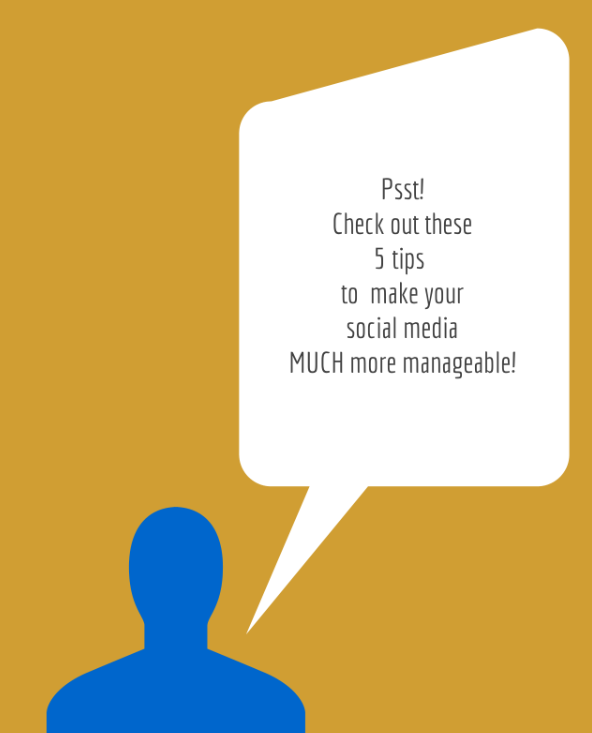 So, if you feel like you are already too busy, or in over your head with all the other parts of running your business, or would just like some general pointers in how to more efficiently handle the social media and blogging tasks for your business, here are 5 tips to try. Aim for consistency above all else Would you prefer to blog 3 times a week, but typically only have time to write 1 post? Do you feel 2 updates a day on Facebook and 15-20 minutes a day on Twitter is ideal, but find yourself regularly falling short? Sure, more social media and blogging time is better than less, but ultimately, you’re better off delivering content and updates on a consistent basis, even if it’s less than what you’d prefer. Maybe a new blog every Monday, plus 1 update a day and 5-10 minutes on Twitter is the amount of social media work you know you can deliver on a regular basis. The good news: That’s great to hear! Go ahead and adjust your expectations to a level you can confidently maintain (and immediately feel better about accomplishing your daily To Dos!). Less is more Do you keep hearing about Instagram, but aren’t really sure if it makes sense for your business? Maybe you have a good handle on 2 social media platforms, and worry that adding in a 3rd will put you over the edge. That’s totally OK! You have no control over how a new customer first comes in contact with your business. It’s much better to have fewer social media profiles that are active and regularly monitored, than a bunch of platforms that are sporadically updated or potentially left dormant. Scheduling & automation CAN be your friend It’s absolutely critical to be real and live on social media, but that doesn’t mean every single thought tweeted or update posted has to be done in real time. If you have a few blog post ideas one Sunday afternoon, and you crank out a few new blog posts, go ahead and schedule them to publish at 6 am Monday morning, for 3 Mondays in a row. When your new blog post publishes first thing on Monday morning, go ahead and schedule your Facebook update about it, plus a few tweets to go out during the day. That way later on, when you have some time, you can visit your fan page or Twitter account and focus on nothing but engagement with your fans and followers. Divide and conquer This is a tactic that Kristin and I regularly employ. We pretty much share Facebook fan page posting responsibilities, but Kristin does all the live tweeting and sharing of links to our LinkedIn Company page. I have our Google+ business page connected to my BufferApp, so I can share articles through it. When a new blog post publishes, I share it to all our social media networks. We each write 1 blog post a week, then alternate weeks for our Curated Awesome round-up. And weÂ have the Tweet Old Post plugin active on our blog. Call in the prosÂ If you’ve tried to integrate your social media duties with the rest of your marketing, but haven’t had any success, or you don’t have the time to learn all about social media marketing in order to manage yours effectively, it may be best to contract out that work. Business blogging, too. Don’t let social media for your business be the thing you let go because you feel like you don’t have time. In today’s business world, too much business and customer service is happening online to give it up. 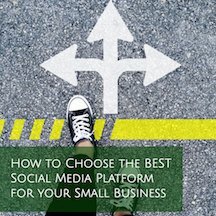 Instead, try a couple of these techniques to make your current social media & blogging work load more manageable for you.